I wonder if we can put our OC couple with a main character in the TV series? 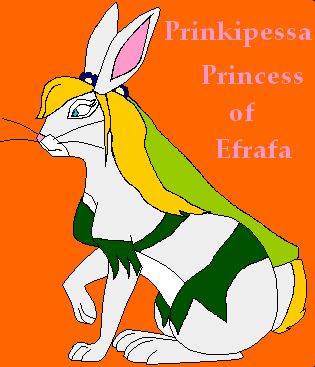 In my stories Woundwort and Princess Prinkipessa meets after he's survives and the General and the rabbit princess are in love. Nice drawings, by the way. That's really interesting. An OC with Woundwort hmm? Maybe that's for the best and she helps to teach him to truly love. At least that's what my brain is telling me would happen if that rabbit actually found someone he cared about. 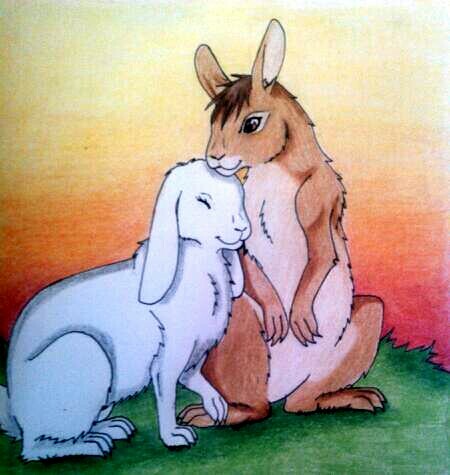 I think it would be nice for a doe to finally settle down and let Woundwort be somewhat happy. The TV version of Woundwort is much less scary for the sake of being scary. Your OC is very cute as well! But there's nothing wrong with shipping characters. 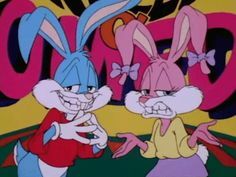 For one, rabbits aren't huge on monogamy (unless they're pets and there's only two of them), so even if a character already has a mate, it's not unreasonable for them to mate with another. My favourite OC Elowen mates with Acorn from the bookverse. There was nothing really romantic about the ship; they just had a few litters together. Ship your characters with whoever you want! I know what you mean. And thank you for bringing that up. In thebook the characters behaive just how actual rabbits would mostly. Adam's was actually into the study of rabbits so he wrote the book as such. He even eludes to such things as you described. El Ahraira himself has multiple wives, it states. And while the other rabbits are said to have only one actual mate each it is eluded to throughout the story that they compete and mate with others as well. In fact Snowberry mated with Bigwig while he was still mated to Thethuthannang. In my fanfiction however, she gets bitten buy a snake and dies after she goes looking for a plant that could help her bare more kittens, since it becomes hard for her to have any litters. And do to actual rabbit behavior Bigwig moves on to become actual mate with Snowberry after that. Rabbits by nature do pick and choose their favorite partner (we could call this their actual mate if you like) but they do and will mate with any they see as "worthy" enough to give them strong kittens. So I think Woundwart would very much enjoy having a doe as his primary mate. Re: OC with WSD characters. We hope that our princess, follow in this nice forum.